It's difficult to explain where the ideas for One Soul for Sale originated. As I mentioned yesterday, it was one of those rare stories that tumbled from my head almost fully formed. It made the critique rounds, of course, but I wrote it very quickly to keep up with the narrative gushing forth. It meshed a few key elements, but the catalyst came from online bidding sites where people sometimes post outrageous items, including a soul once, I believe. Other items so odd, the news featured them included someone's wife, and a house. I'm sure there've been many more, but you get the idea. Further proof that truth is stranger than fiction. One of the main elements concerns an artist's conundrum in balancing life with art, something with which any writer can identify. How to know when you're too focused on your goal? When to pull back? Or give up? How much of ourselves are we willing to sacrifice for our art? Artists working in all mediums all confront these struggles at some point or another. I set this story during Halloween, otherwise known as All Hallow's Eve, for a few reasons. One, it's second only to Christmas for me. I love Halloween decorations equally, and my house reflects it. The legends surrounding this holiday have always intrigued me. Halloween is when the barrier disappears between this world and the next, allowing souls to freely roam between. A time for mischief and mayhem. How to know whether a force is good or evil? 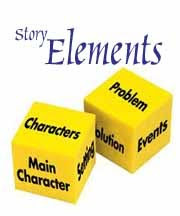 Sometimes it's difficult to tell - so that element is part of this story. I also pay small tribute to my mom in One Soul for Sale. She's been gone for years, but her spirit's still strong. I know she's still watching over, along with my dad. The quote attributed to Madelyn's mom actually came from my dad, who always warned me about not wishing my life away. Excellent advice. The present is all we have, and I make the most of it. As I mentioned, you have two opportunities to win copies of One Soul for Sale this fall: during Ramsey's Reviews' Halloween Bash, and Night Owl Reviews Halloween Web Hunt. Links to each are on the logos at the top right of this page. “Well, that’s easy – put it on uBuy.” Gwen shakes her cup to stir up sugar from the bottom. “You’re such a comedian.” Madelyn reinforces Gwen’s dream at every opportunity. Her friend reciprocates by being Madelyn’s best cheerleader for her art, though lately, her sketches are as uninspired as the rest of her life. “I try my best.” Gwen’s been revising her standup act for months, perfecting it so she can one day actually perform before a crowd at a comedy club rather than open mike night. Or in front of her bedroom mirror. Their meager salaries don’t allow for luxury, so neither is a stranger to the allure of uBuy, and both feed their addiction to the site daily. Madelyn finds designer clothing bargains while Gwen goes for vintage. Besides supplementing their wardrobes, Madelyn and Gwen love uBuy for its oddities. The odder an item is, the more appeal it has. Madelyn’s desktop swaying, ukele-strumming hula-skirted Gumby is testament to this. Gwen collects memorabilia of famous comedians; Groucho Marx is a favorite. On that level, Gwen’s offhand suggestion appeals to Madelyn. “I should list my soul, just for kicks. To see what response I’d get.” People have sold stranger things. Maybe some cute guy would buy it, and who knows where that might lead. She’s already tried online dating, though. Cyberspace, she found, is not a good place to meet strangers. The notion is erased from Madelyn’s mind by the sight of a stunning man on the sidewalk. Standing by the newspaper vending box, he checks his watch. His dark features are set off by his black shirt, black sport coat and black slacks. He’s so perfect, he looks out of context with his surroundings. When he looks at her, shock waves rumble through her nervous system like an oncoming storm. A rush of heat engulfs her. “Madelyn? Hey, what’s wrong with you.” Gwen’s voice is distant, as if it comes through a tunnel. She snaps her attention back to her friend. “Nothing.” In truth, Madelyn knew her universe had just shifted.